Indoor air quality is important not only for your family’s comfort but also for their health. Poor indoor air quality has been linked to symptoms ranging from irritation of the eyes, nose and throat to headaches and fatigue. 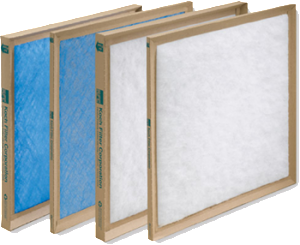 One of the most effective ways to combat poor indoor air quality is by ensuring that you have a high quality filter in your Air Conditioning system and that it is changed routinely. At Alaskan we offer a number of indoor air quality solutions. One of our most popular is our Dynamic Air Cleaner. This filter uses electronic polarized-media technology to clean the air in your home. The Dynamic Air Cleaner captures 97% of all particles at .3 microns and continues trapping particles much smaller in size. Schedule an appointment today to have one of our Air Quality Specialists come to your home to discuss you options with you today.